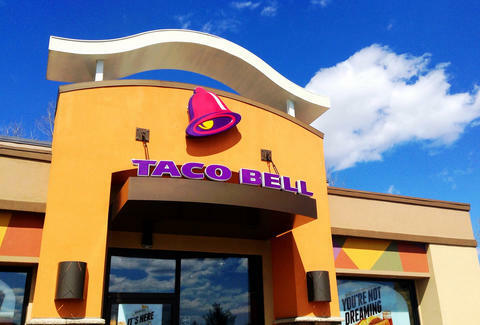 Last month, when we received confirmation that Taco Bell would be opening its first alcohol-serving location in Chicago's Wicker Park neighborhood, some obvious concerns were raised. Well, only one concern really: that adding alcohol to Taco Bell -- a brand already synonymous with late night, booze-fueled cravings -- could either be the greatest or worst idea in history. Probably a bit of both. To ensure this Taco Bell won't turn into the kind of place "where they sweep up the eyeballs after closing," the owner of the new location has announced the hiring of a nighttime bouncer who'll stand guard from 9pm to midnight, Thursday through Saturday. What's more, while this place will serve everything from frozen cocktails to draft beer, all alcohol sales will be cut off at midnight, so even if this bouncer isn't the best cooler in the business, the environment should hopefully remain reasonably controlled. Either way, you can rest assured that once this place opens, we'll be the first ones in line -- and probably the first ones to drop a Doritos Locos Double Deuce shortly thereafter.